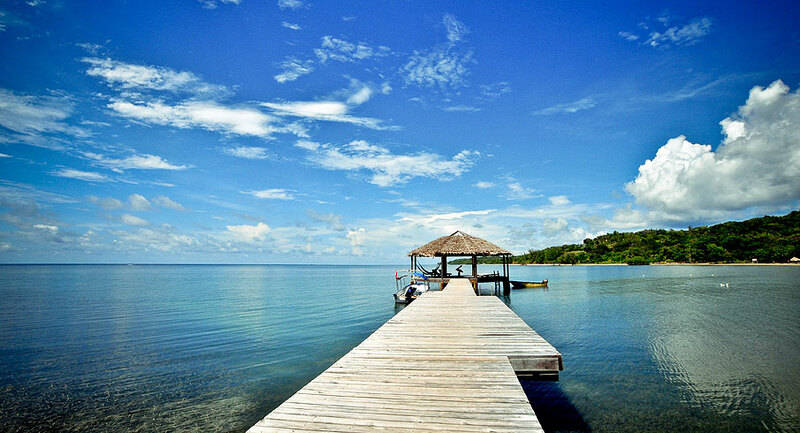 Roatan, a small island in the Caribbean, has a host of delicious restaurants serving a variety of cuisines. Even though we own a beautiful home on the island with a gorgeous updated kitchen with all the bells and whistles, we are on vacation when we are there, so we tend to eat breakfast and lunch at home but eat dinner out. These are some of our favorite restaurants in French Harbour and locations east of there. Our favorite restaurant, and the one we always go to our first night on island is Romeo's in French Harbour. It is an Italian restaurant on the south shore, with a beautiful outdoor covered seating area with a pretty view. The food is outstanding, as is the pizza, as they have a wood burning pizza oven. Their many fish offerings are delicious. The service is warm and inviting, and the menu is varied enough to satisfy everyone. Another favorite of ours is Temporary Cal's Cantina. It is along the main road, east of Parrot Tree Resort. The food is very good and the view is outstanding. Try the jalapeno fish. Be warned however, they only take cash and are not open on the weekends. Another good restaurant is Gio's in French Harbour. (There is another location on the west side of the island in Flower's Bay.) It sits on the water, has a nice view and good food. The outside patio is a bit rustic but that only adds to it's charm. Try the garlic shrimp. If you are getting tired of eating all the delicious fish and just want a steak, try the Pineapple Grill at Clarion Pineapple Villas. There is no water view, unless you count the pool but there is plenty of seating both inside and outside on a covered porch. The decor is fine if uninspiring. and they just recently added a soup and salad bar that comes with every entree or you can order just that. It is worth trying for that as I was not impressed with my fish dinner yet everyone else loved their steaks. They also have a bar serving bar food that I am told is good. Sky Pizza, in Pristine Bay with a gorgeous view has been closed for awhile but I just found out a new restaurant opened in that location. We will check it out in a few weeks and let you know. Last but not least, Ixora, at Palmetto Bay opened a few months ago and I heard it is wonderful. Certain nights of the week they have entertainment and pig roasts. Can't wait to check it out. 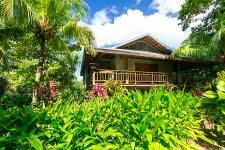 If you are planning a trip to Roatan, rent our beautiful, Bali inspired, 3 bedroom villa with private pool in the gated Resort at Palmetto Bay with one of the longest white sand beaches on the island.